All designs are advertisments meant to put an image and a feeling into someones mind. The whole concept of the design is to get a feeling and idea of the whole package in as little time as possible. Attractive designs are simple, easy and elegant. That is a role in which we can fill by keeping the design simple yet classic. Minimal yet organic. Interesting yet understandable. By focusing on interesting design elements combined with clear product-centric site displays EDM can create imagery that will etertain a customer and also sell a products concepts and designs. At EDM design we feel it is important to keep a possible customer or client entertained yet comfortble with a product or image. Boredom and or complexity have been known to break interest in a customers decision to purchase a product. The goal for us is to maintain simple yet beautifully interesting design for our clients site. Therefore when someone visits the site, it will be remebered as a smooth, clean expierience with the perfect amount of flavor to comlete the experience. Our sites will leave a great aftertaste in the visitors mind, for your brand name. 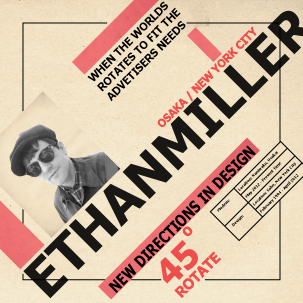 For information or inquiries regarding graphic or web design work, please contact Etha D Miller at . We will get back to in a few moments time. Thank you for browsing our site. Hopefully it has inspired your imagination for your company works. As a way to effectively interest a consumer, but not over stimulate, I can use many different non-Flash based techniques. These will add spice to the pages, without losing the effects on a smart phone or such other devices.